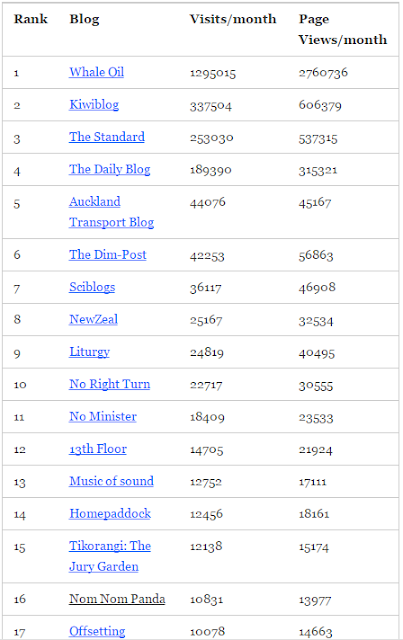 Ever wondered how your blog is doing, compared to other New Zealand blogs? 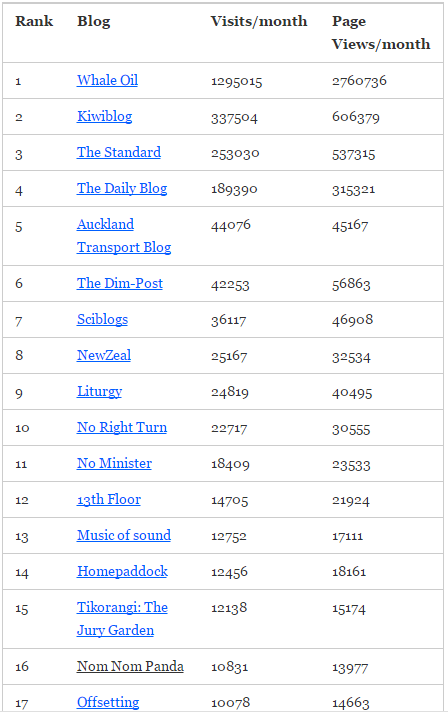 It turns out there is someone keeping a list of NZ blog rankings at the OpenParachute website. 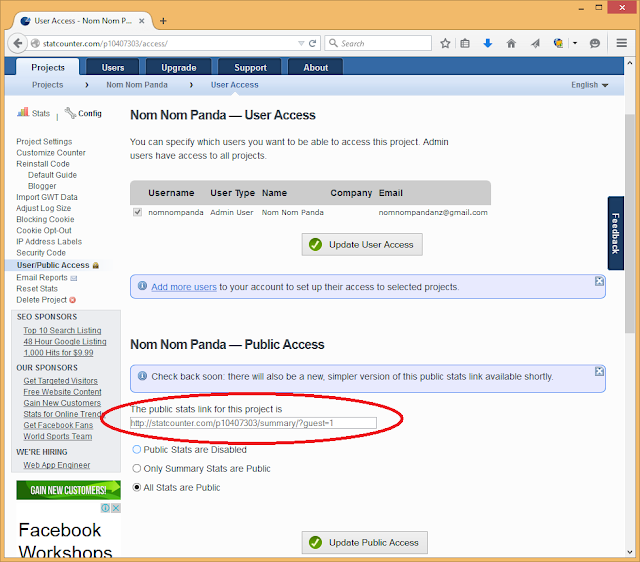 All you need to do to get your blog added is to make your stats publicly accessible, email Ken Perrott, and wait for a month or so. May stats - hey, I'm doing better than I thought! It took me a while to work out what to do, even after reading the FAQ, so I thought I would take you through the process step by step. Apparently, the most popular site meter used by bloggers is, um, Site Meter. I already had misgivings from the dated look of the website, but gave up on this one after it said it was going to email me my password and no email arrived (it came after a couple of days—my issue now is trying to get off their mailing list, as the unsubscribe link doesn't work and no one responded to my email). 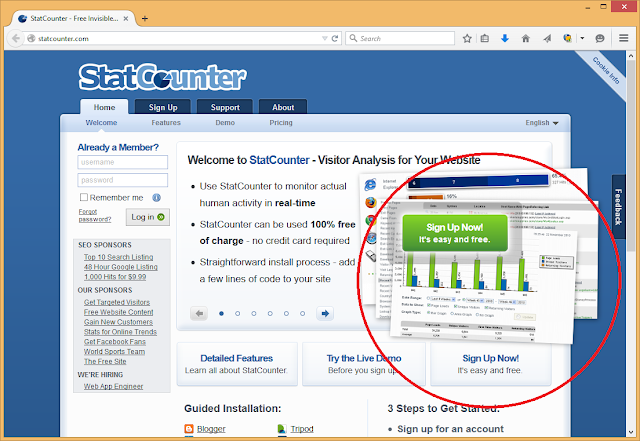 So I went to the next most popular site meter, StatCounter. Here's what I did to set it up. 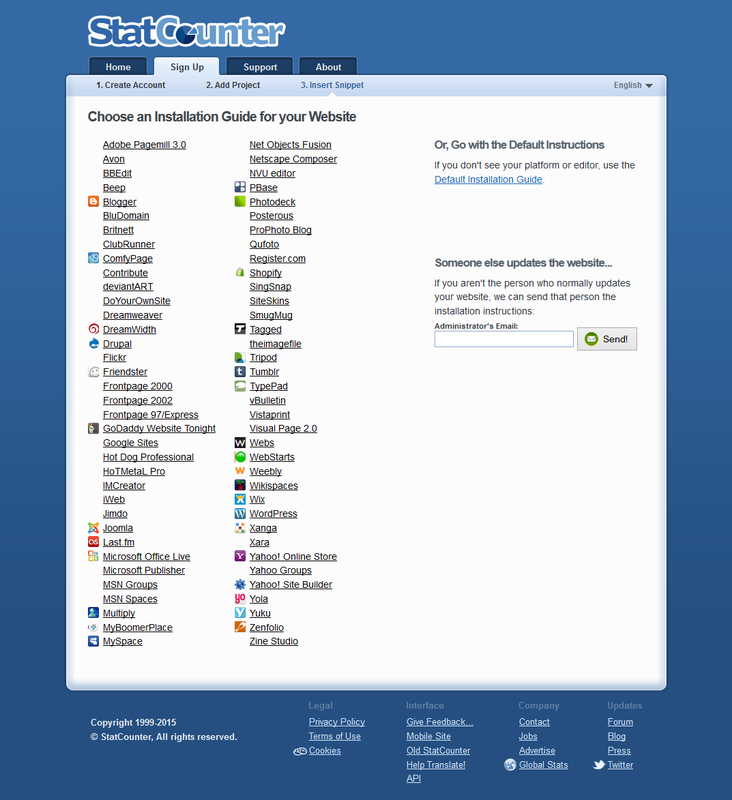 Sign up button on homepage. ... then enter your details and press "Create Account". 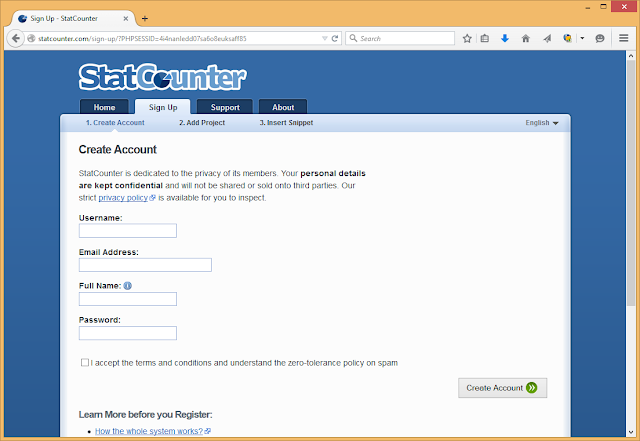 Enter your blog's URL, give it a name, and tick the "Make Statistics Public" checkbox. I chose to have no link and invisible tracking, but you may wish to have a link/counter appear on your site. 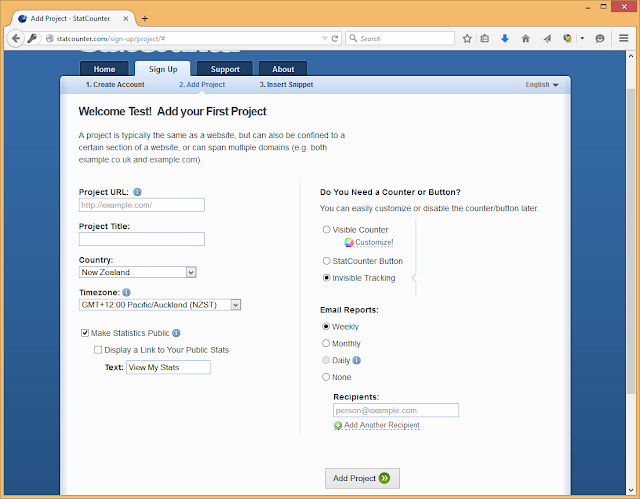 You can also choose whether to have your stats emailed to you, before moving on to the next step by pressing the "Add Project" button. Depending on what blogging platform you are doing, your next step may differ. 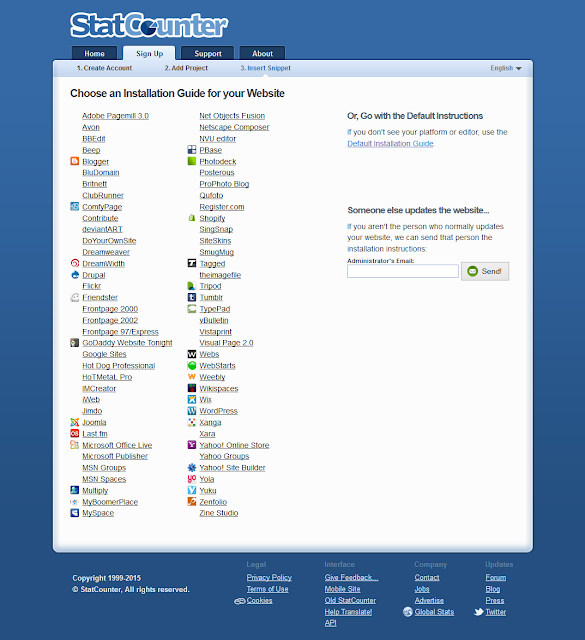 I followed the Blogger installation guide, but the Wordpress one may be more applicable to you. This is the most challenging part, at least with Blogger, because you have to add code to your blog template, but fortunately the installation guide provides plenty of screenshots. Once you have set up your site meter, you should have a publicly accessible link to your stats. 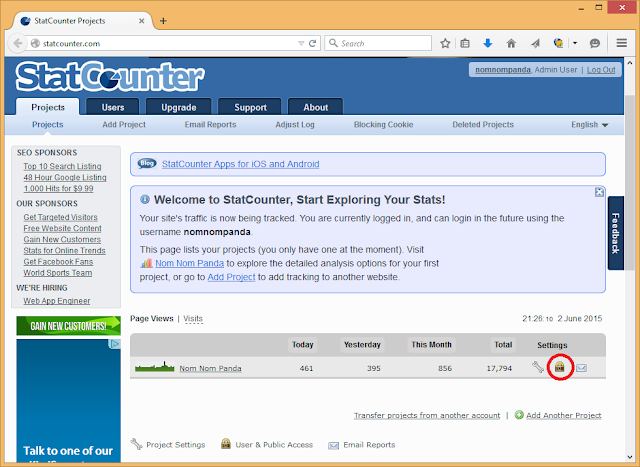 In StatCounter, this is done by going to Home -> User & Public Access (don't worry if your stats haven't come through yet—you will probably want to wait at least a few days to confirm everything is working). User & Public Access button on the landing page. The link will be displayed under the "Public Access" heading. Once you have checked that you can see some stats for your blog (here's mine for comparison), you can write to Ken Perrott and give him your blog URL and public stats link. If you don't want your numbers to be artificially low in the first month, you can wait till you have a month's worth of data first. If you get an email back to say your blog has been added, you are done! All you have to do now is look for your blog in next month's blog ranking list. For instance, here is May's one. Your results may or may not be what you expect (I think my blog ranks too highly because other food bloggers have not been added to the list, and a lot of my traffic comes from overseas), but at least you now have some idea where you are sitting in relation to some other NZ blogs. Who knows, someone browsing the blog rankings may come across your blog and start reading it too!